I realized I haven’t reviewed several of the (semi)recent Anderson family Book Club reads. So here are some quick musings on them! Crashing Through is the story of Mike May, who, among many more significant things, was blind. An accident early in childhood left him without vision, but he accomplished more without his sight than most with the capacity to see. He is a businessman, Olympian, husband, and father who got the opportunity to have surgery to correct his vision. This is the story of his life before the surgery, the agonizing decisions his wife and himself have to make about the surgery, the story of how he learned to live with his new ability after, and his journey in redefining himself. May of course conquers all of this, because he is the type of man who will tackle anything put before him. But his story made me confront some of my prejudices about “disabilities”. The best part, in my opinion, was the explanations of how the mind and the eye work in tight balance, and the circuitry we all take for granted. I listened to this book on CD in the car. And I found it very fascinating. Part science, part biography, and part self-help. This is a book that really made me think. It seemed obvious to me that someone who was blind would want their vision restored if the option was available. But the novel made me think about some of the consequences I hadn’t previously considered. What if the brain hadn’t developed to see, due to lack of sensory input? What would vision be like then? How would it affect your current relationships, your self-esteem, or your concept of self? Would you feel like you betrayed others in the blind community? What if you couldn’t differentiate between faces, or even between man and woman? A great balance between a personal story and the science behind it! The Woman in Black had been on my TBR list for probably years, and I never got around to it, and most likely wouldn’t have, until it was selected as the book club book! And it was a really really good little book. And SUPER spooky, although others in the club would disagree. This is a petite YA ghost story with a very Victorian feel. It all begins on a Christmas Eve, where the family of Arthur Kipps begs for a traditional holiday ghost story. But to Kipps, ghost stories are not frivolity, and he sets out to write of his own strange experiences when he was a young man. Of course there is an abandoned manor, a deserted moor, a faraway sound of screaming. And then there is the woman in black who Kipps is desperate to find even while being desperate to avoid. This thriller isn’t gory and doesn’t go for cheap scares, but instead is subtly haunting and permeated by a sense of evil. Highly recommended! Some failures lead to phenomenal successes, and this American nurse’s unsuccessful attempt to climb K2, the world’s second tallest mountain, is one of them. Dangerously ill when he finished his climb in 1993, Mortenson was sheltered for seven weeks by the small Pakistani village of Korphe; in return, he promised to build the impoverished town’s first school, a project that grew into the Central Asia Institute, which has since constructed more than 50 schools across rural Pakistan and Afghanistan. Coauthor Relin recounts Mortenson’s efforts in fascinating detail, presenting compelling portraits of the village elders, con artists, philanthropists, mujahideen, Taliban officials, ambitious school girls and upright Muslims Mortenson met along the way. As the book moves into the post-9/11 world, Mortenson and Relin argue that the United States must fight Islamic extremism in the region through collaborative efforts to alleviate poverty and improve access to education, especially for girls. Alright, I know everyone has already read this book, and a lot of people really loved it. I really had no interest in reading it. I’m glad I did, because it was an educational experience and there were some really moving and interesting moments. That being said, I didn’t love this book. While inspirational at times, I often felt myself being angry at Mortensen for putting himself at such risk when he had a daughter at home. Time and again he left his family, and while for very noble reasons, it made me cringe to think that his family often had no idea where he was, if he was safe, or how to contact him. But I suppose many families go through this everyday. I did truly appreciate how one man decided he would make a difference one step at a time, and his accomplishments are helping fight terrorism and creating generations of lifelong learners. My biggest problem with the book is it was not at all well written. There were no transitions between paragraphs! I kept finding myself turning back to make sure I hadn’t skipped over a page, because paragraphs had no relation to the ones before them! And that lead the book often feeling tedious and like a bad homework assignment. And sometimes was TOO MUCH detail. I’m all about setting the stage and ambiance and all that, but I don’t care about every person Mortensen met on the side of the road! Just tell me his story and the key players in his journey! Enough exclamation points for one post. I’d give the story a 4, and the writing a 2… so I’ll average it to a 3. This entry was posted in Anderson Book Club, Best Sellers, Book Reviews, General Fiction, Nonfiction, Young-Adult Fiction and tagged Crashing Through, David Oliver Relin, Ghost Stories, Greg Mortensen, Mike May, Nonfiction, Robert Kurson, Susan Hill, The Woman in Black, Three Cups of Tea. Bookmark the permalink. Your new layout looks great. Congrats! 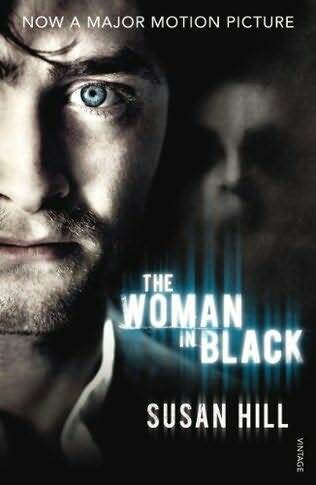 Regarding the books, now I cannot wait to read “The Woman in Black” as I see a clear reference to my fave work ever. Thanks for it!